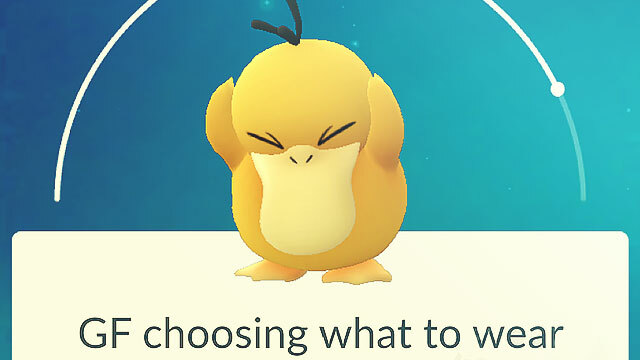 Much had been written about Pokémon GO, like tips to be the very best that no one ever was, tricks to catch 'em all, and basically, how it has become a part of everyday life. 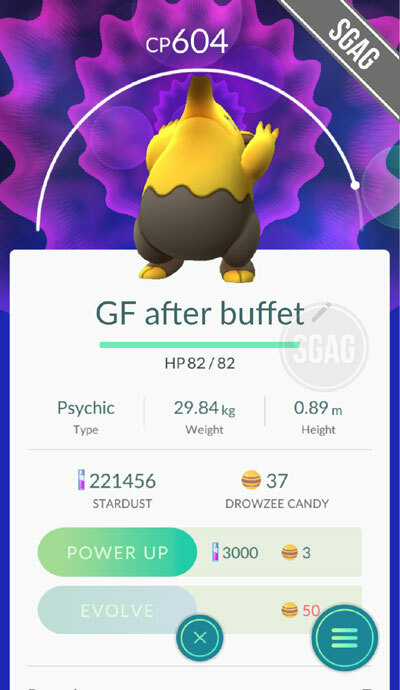 The timing couldn't have been more perfect, with the available technology, particularly augmented reality, somewhat able to bring to life a fantasy world and the awesome creatures that inhabit it. 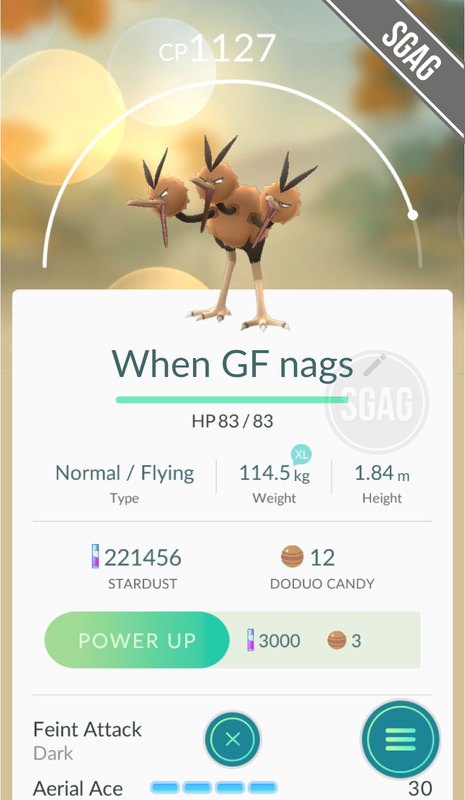 One feature of the game that has been undervalued, though, is the naming scheme. 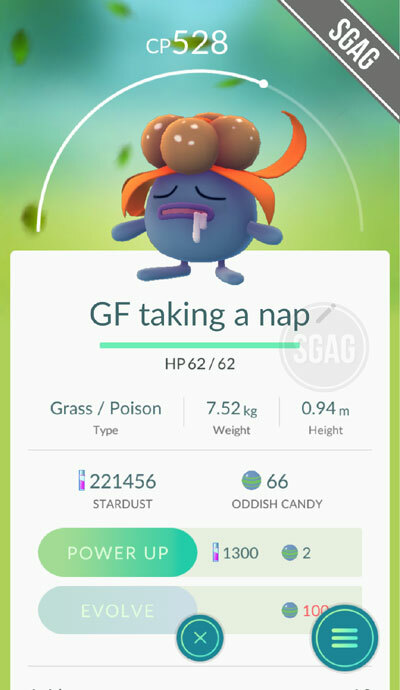 Harken back to the franchise' Gameboy days, Pokémon trainers are given the liberty to choose a nickname for their furry friends and creepy crawlies. 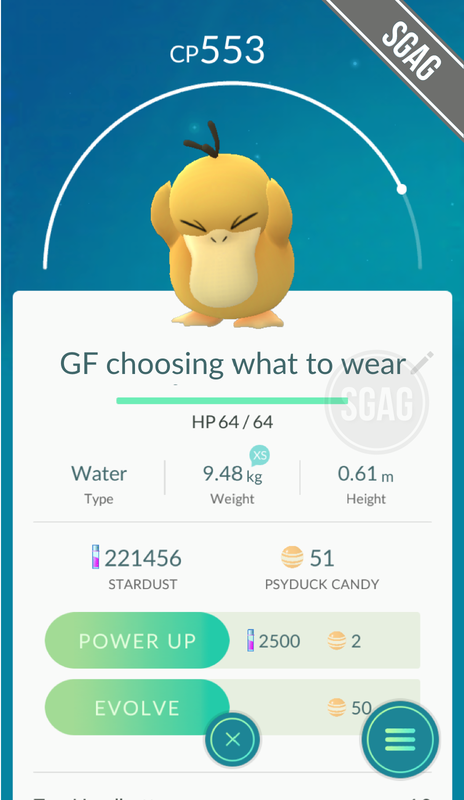 Pokémon GO isn't one to break with tradition, and this is where the players' creativity comes in. 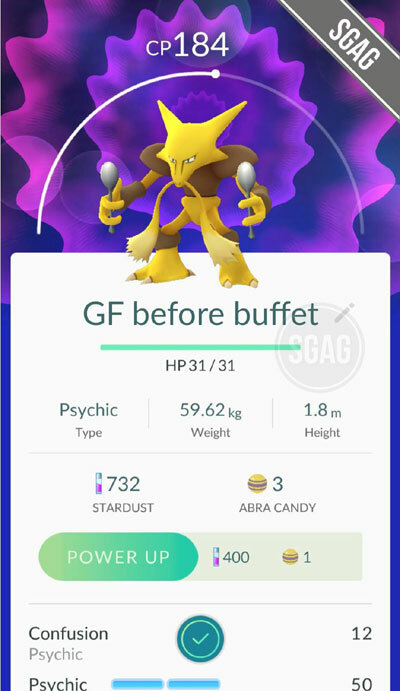 From pure innocuousness to celebrity puns, those who had time to spare came up with the wittiest alternate names. 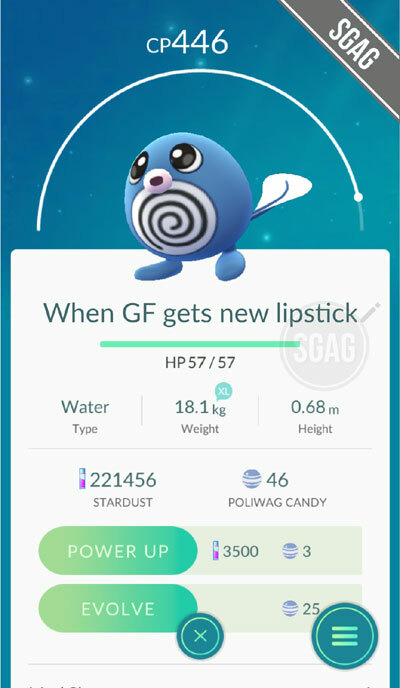 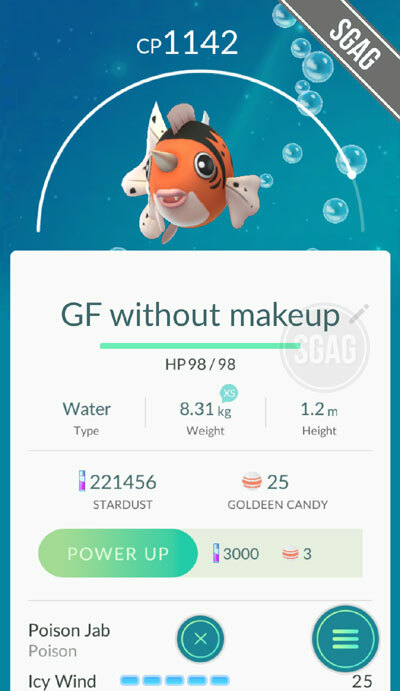 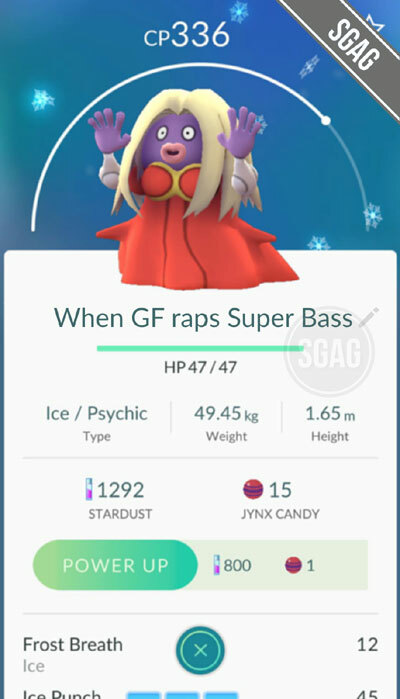 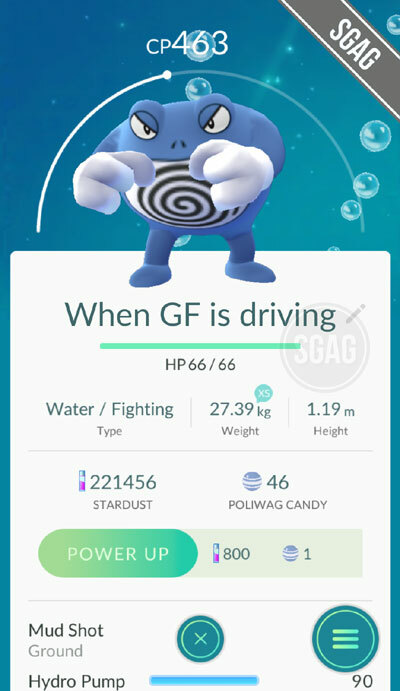 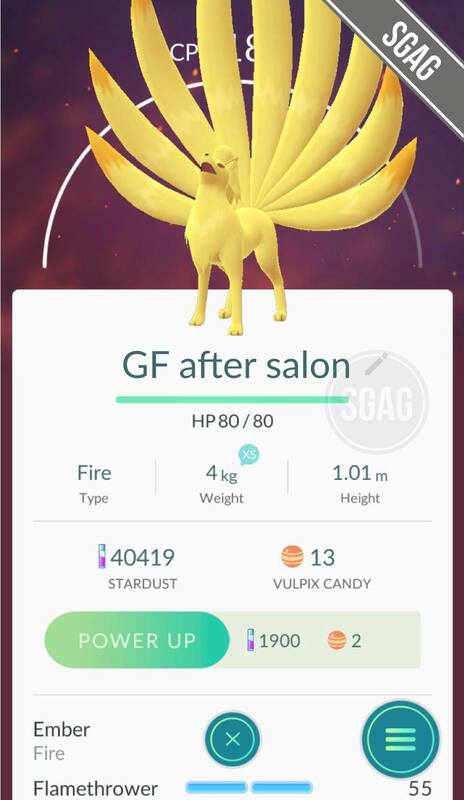 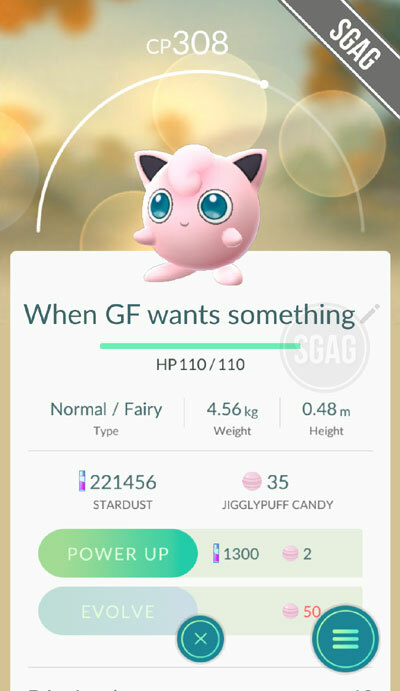 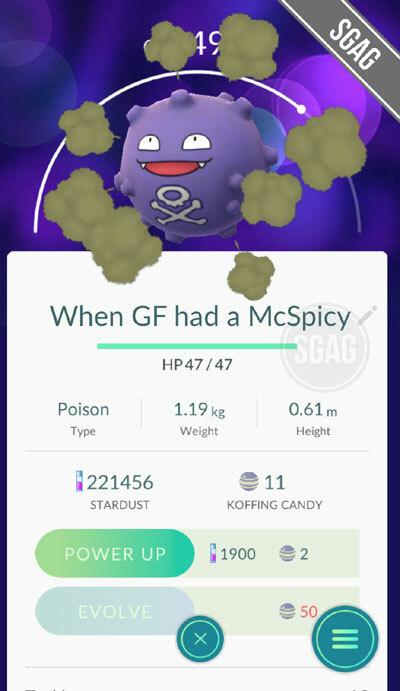 Facebook page SGAG, for its part, thought it would be hilarious to compare Pokémon to girlfriends and the female psyche. 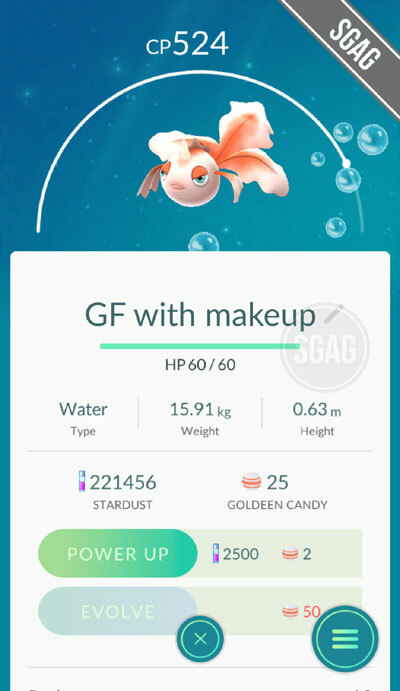 First thing's first: How do I look?